MONTPELIER, Vt. – A week full of fishing fun is just around the corner as Vermont State Parks and Vermont Fish & Wildlife will be hosting “Reel Fun Week” from July 10 through July 17 at state parks throughout Vermont. The “Reel Fun Week” educational fishing clinics will be taught by staff from Vermont Fish & Wildlife, as well as certified instructors from the Let’s Go Fishing program. After a long winter, it’s a treat to watch the progression of wild flowers in the woods throughout the spring months. First to arrive are the spring ephemerals, often first spotted at the end of winter, pushing up through the snow on the ground. The name ephemeral hints at the reality- these small flowers bloom and fade before the trees canopy grows and crowds out the sunlight. 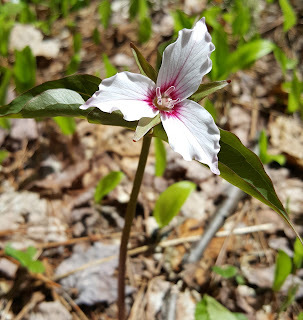 Ephemerals seem to pop out of the grey and brown landscape of Vermont woodlands and are a treat for those looking for signs of warmer weather. Other flowers follow in a burst of color, and trees leaf out seemingly overnight. By early June, a walk in the woods feels like another world- one of a million shades and textures of green, and it a different collection of colored blooms. Here are some finds from parks around Vermont this season. It's time for summer food truck goodness at Sand Bar! Below is the tentative list of food truck vendors throughout the season. 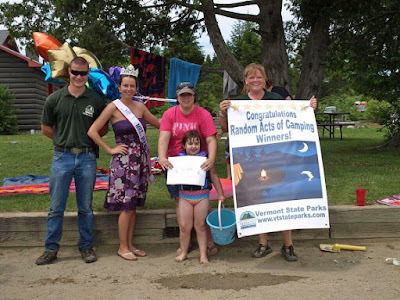 Random Acts of Camping is Coming to a Vermont State Park Near You! 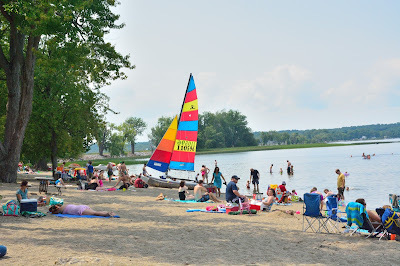 Want to visit a state park beach or day use area and win a weekend of free camping? Yes, please! This is the premise behind the “Random Acts of Camping” promotion, designed to share the joy of camping with Vermonters. "Random Acts of Camping" rewards lucky park visitors with two free nights of tent, RV, lean-to, or cabin camping in any Vermont State Park campground. One winner will be chosen at random on nice weather weekends through August, beginning at Waterbury Center State Park this weekend, June 24-25th. This program was developed as a way to increase statewide accessibility to camping and to foster a lifelong love of the outdoors. The winners will be chosen at random by park staff, and will also receive personal trip planning assistance and advice from our customer service team. 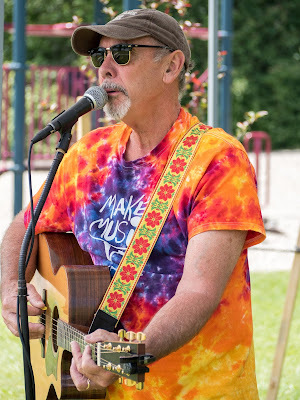 Vermont State Parks is happy to invite you to join a free celebration of music at three state parks on the first day of summer, Wednesday, June 21. MakeMusicVT, presented in partnership with Big Heavy World, is an international day of music-making that will be taking place in more than 120 countries and 700 cities worldwide. 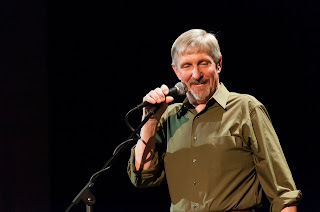 Vermont is the first US state to coordinate a state-wide event, with performances at public places, including libraries, sidewalks, and state parks. Reel Fun Expands to 18 Parks for 2017! MONTPELIER, Vt. – Vermont State Parks and the Vermont Fish & Wildlife Department have expanded the popular “Reel Fun Vermont” program for 2017, meaning added fishing opportunities for park visitors statewide. 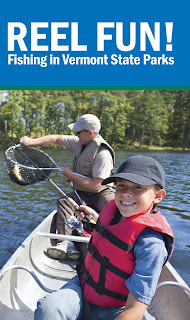 Created in 2015, the “Reel Fun Vermont” program provides park visitors with free, loaner fishing equipment to use at any of the participating state parks. The program is now available at 18 different state parks throughout Vermont. If you ever visited Townshend State Park in recent years, you probably remember rangers Pat and Gary, who were famous for their Saturday night everyone-welcome guitar jam sessions, among other things. When they retired at the end of last year, they left some pretty big shoes to fill. Still, the universe has a way of working things out, and Townshend has a new pair of managers who some visitors may recognize. This year, we are pleased to welcome Chris and Tiff, who have balanced working for Vermont State Parks while traveling the world for over 8 years. They have managed Elmore, Waterbury Center, Seyon Lodge and now after a year-long sabbatical throughout Southeast Asia, they have landed at Townshend. 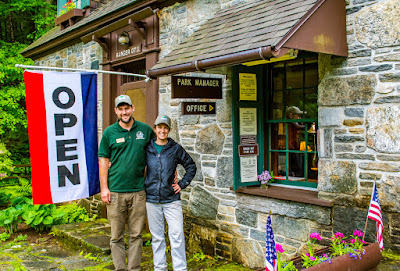 We are so pleased to have Tiff and Chris back with us for another great season in Vermont State Parks!